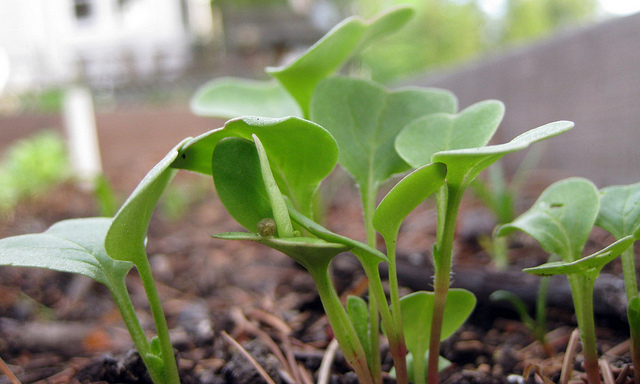 Three days after sowing seeds in my garden, the heart-shaped leaves of radish sprouts have appeared above ground. Fast-growing and hard to kill, radishes are a wonderful crop for those who lack patience and time to care for finicky vegetables. Radish seeds can be bought at most stores. Spring radishes, which are much smaller than winter radishes, are the ones to sow at this point of the year. Radishes mature in less than a month and love the cooler temperatures of April nights. Radishes like loose soil, with moderate compost (they are especially fond of wood ash, so work any ash from your fireplace or bonfire into the radishes’ plot of land), and moderate amounts of water. Radishes are useful indicator crops—plant them alongside your slower-growing seeds to remember where you planted your melons, peppers, or anything else you’re worried you’ll mistake for a weed later on. 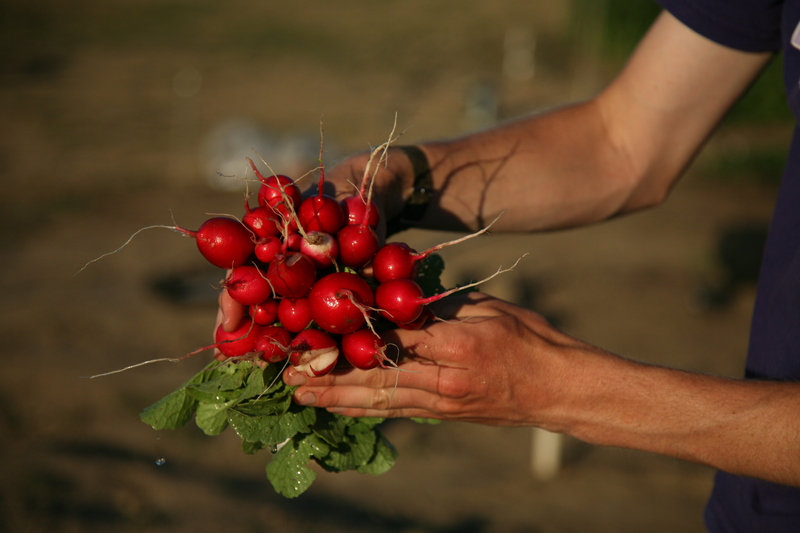 Radishes also are wonderful at making holes in the soil for later crops to send their roots into—ideal for those dealing with compacted, clay soil. Finally, radish roots and leaves attract many garden pests which otherwise would happily devour your other crops. Even if you’re not a fan of radishes, their many benefits in a garden bed are remarkable. There are lots of varieties of radishes from which to choose—colors range from white to pink to purple, and in one case, (the very spicy Nero Tondo,) black. Radishes can be pickled, eaten plain, fried or boiled. 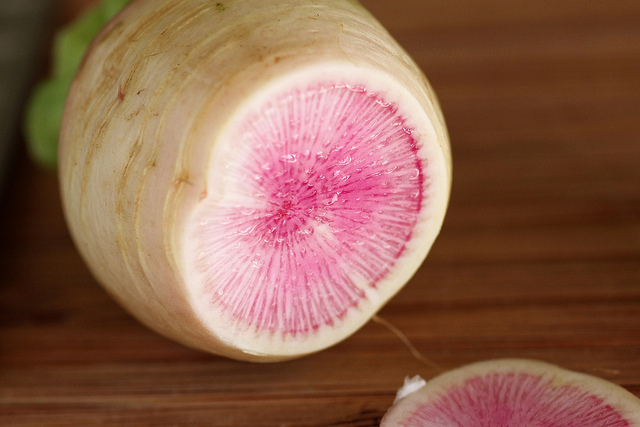 In addition, by growing radishes, you get a chance to eat the radish leaves, which are often too degraded in store-bought radishes to be very appetizing. The leaves, if pest-free and given a good rinse, are wonderful tossed on a pan with butter and salt. Consider sowing some radishes in your garden—for hardly any work, you’ll be rewarded with a good crop, more workable soil, and fewer pests on your most prized plants.